We would like to complain strongly about the factually incorrect information given on the Victoria Derbyshire programme today in the segment about the HPV vaccination and the future screening changes. 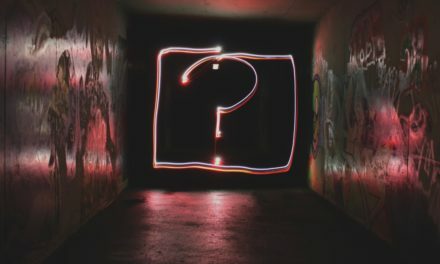 • “for women who have not been vaccinated it is incredibly important that they go and get their screening tests” – implying that those who have been vaccinated don’t? Did anyone check the facts before this segment was broadcast? 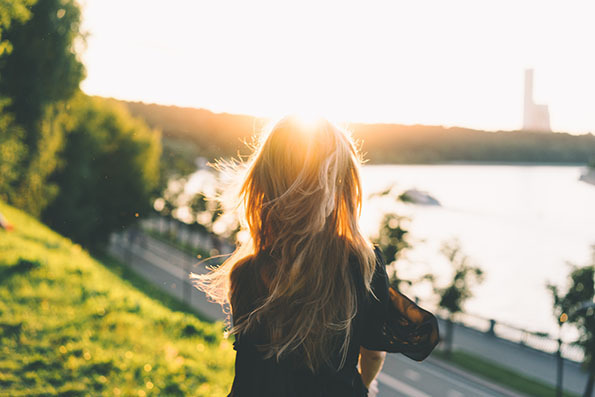 The HPV vaccination will not stop women from getting cervical cancer because it only covers two strains out of more than 12 high-risk strains that are linked with cervical cancer – in fact the Patient Information Leaflet from the manufacturers stresses that patients must attend for cervical screening for this very reason. The segment did not inform viewers that the HPV virus by itself does not cause cervical cancer – most people will have an HPV infection and it is cleared from the body naturally with no intervention. There are risk factors that make development of cervical cancer more likely (smoking, high number of sexual partners, long-term use of the contraceptive pill, other STD infections, poor nutrition etc.) but these were not mentioned. 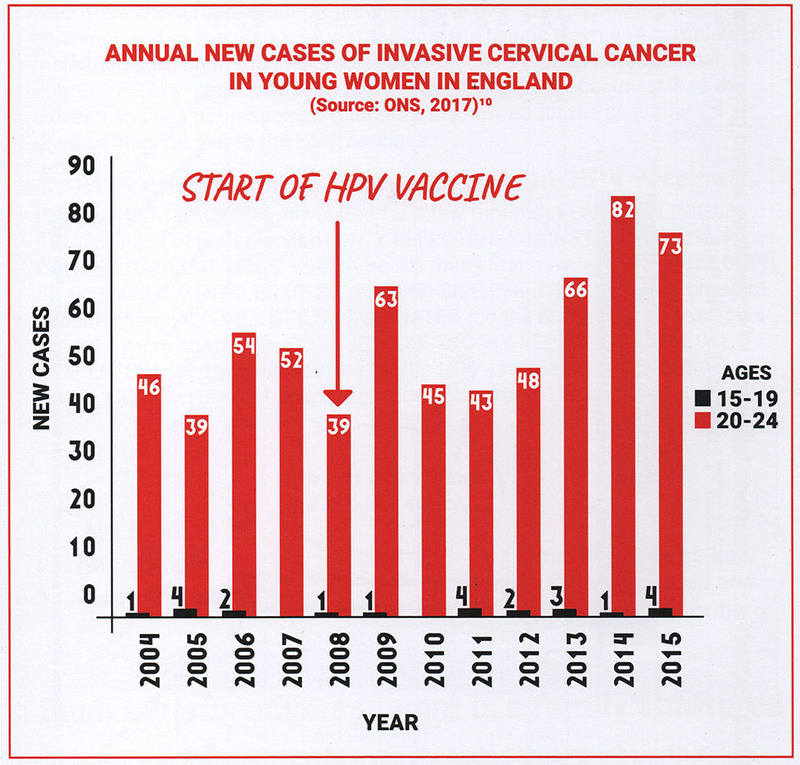 Public Health England are currently carrying out a registered clinical trial to look at the HPV 16 and 18 antibody titres of women who had the HPV vaccination early in the programme, to see if the vaccination is still effective. 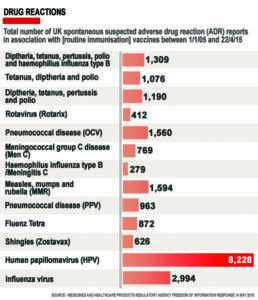 The BBC has today actively promoted a vaccination for which the efficacy is not yet known. 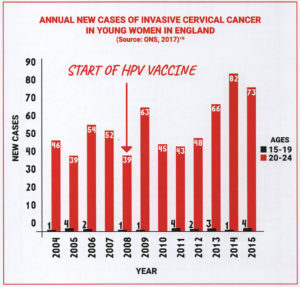 Looking at the 15 – 19 year old age group and comparing the years prior to and after use of the HPV vaccination, there are more cases of invasive cervical cancer after the widespread use of the vaccine rather than before. Although the numbers are small, what explanation is there for this obvious increase in the number of invasive cervical cancer cases in the vaccinated cohort of girls? And why do these statistics present a very different picture to that given by your programme guests this morning? The segment on the Victoria Derbyshire show did not mention risk factors for cervical cancer at all. 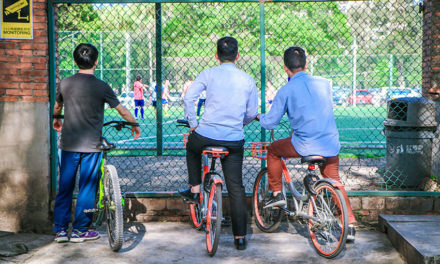 The Institute for Advanced Study at the University of Princeton published this study recently, which gives a good account of the risk and potential benefit of the HPV vaccines. 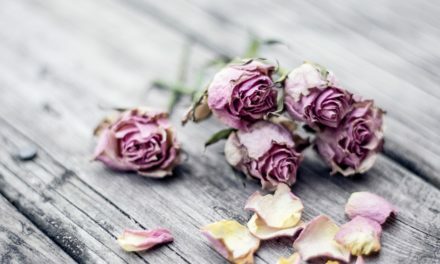 Most importantly for us, as our daughters are among the 3,000+ who have reported suspected serious adverse reactions to the HPV vaccination, there was no mention at all about possible side effects. 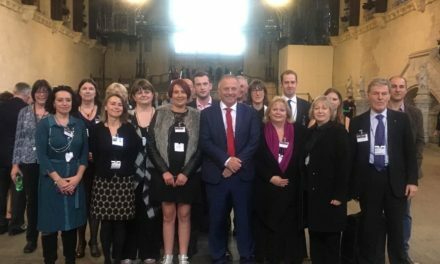 Our daughters and many others are suffering from serious long-term disabling symptoms that no-one wants to investigate. Taken in the context of other emerging health scandals (including vaginal mesh tape, sodium valproate etc.) where patients raised the issue of serious side-effects long before they were even discussed by the Government, we would urge caution and that full information is given to parents and patients – there are serious side-effects listed on the Patient Information Leaflet. Public Health England have highlighted concern about the falling take up of cervical screening and the BBC, with its coverage of this simulated study, will have increased the false sense of security felt by some women who have been vaccinated and mistakenly believe that they are fully protected against cervical cancer. Screening is a proven tool to protect against cervical cancer deaths, HPV vaccination has not yet been proven to prevent any deaths from cervical cancer – the impact on cervical cancer deaths has been estimated. The BBC has been irresponsible in its coverage of this study. The BBC is a public service broadcaster paid for by our taxes and licence fees. The BBC should not be used as a vehicle to promote medical interventions in the way that was done this morning – the Victoria Derbyshire segment was like a promotional video for the pharmaceutical manufacturer.